Mega, a cloud storage service founded by cyber fugitive Kim Dotcom, is heading for the New Zealand stock market for NZ$210 million ($179 million) via a back door listing. Local investment company TRS said in a statement that it reached a conditional agreement to buy Mega through a share issue to Mega’s shareholders. This will result in them holding 99 percent of TRS. The plan is expected to be concluded by the end of May and would see 700 million new TRS shares issued at 30 NZ cents each. This would mean that TRS’s current 1.1 billion shares would be reduced to about 7 million. Indicted. Raided. On Bail. All assets frozen without trial. But we don't cry ourselves to sleep. We built #Mega from 0 into a $210m company. 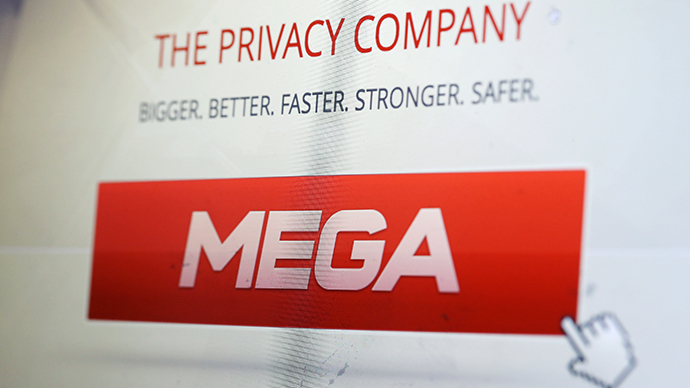 Mega offers encrypted cloud-based data storage facilitates and already has about 7 million registered users. It was originally launched in 2013 by Dotcom and several other people involved in his previous project for which the US is trying to extradite him, Megaupload. The chief executive of Mega Ltd, Stephen Hall, said the firm had planned to list but had chosen the back door route through TRS because it was more cost effective and efficient and there was no chance of it becoming involved in Dotcom’s legal battle with US authorities. “This has nothing to do with Megaupload, it’s a completely separate legal entity, it’s not a worry,” Hall told reporters on Tuesday. 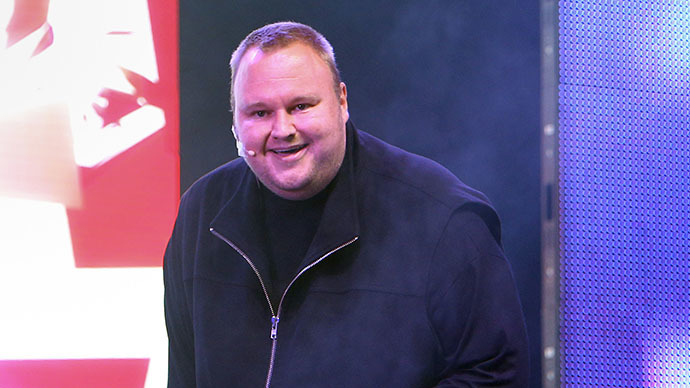 Mega Ltd shareholders include Dotcom’s wife, who has a 26 percent stake. Dotcom himself is not listed as shareholder or a director. But on the Mega website he is listed as the “principal strategist”. 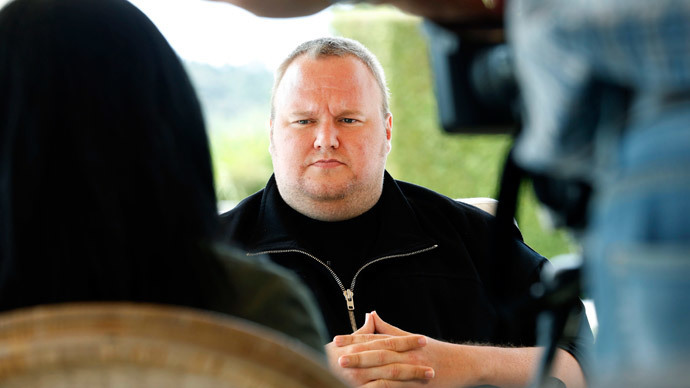 Kim Dotcom, who is a German citizen and also goes by the name of Kim Shmitz, is fighting a battle with the US authorities to extradite him to face charges of online piracy, money laundering and racketeering over Megaupload, which is now closed. 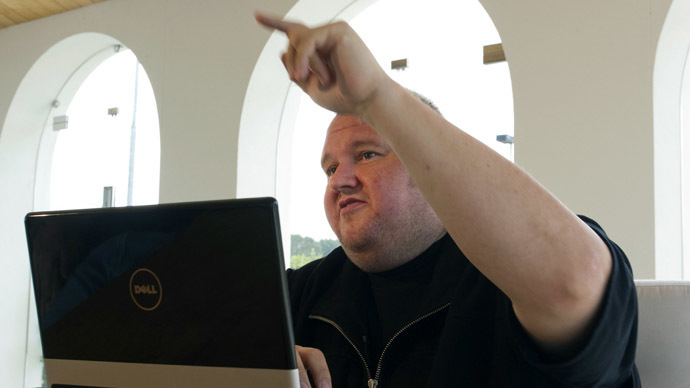 Under orders from the FBI, the New Zealand government arrested Dotcom in 2012 at his mansion near Auckland. 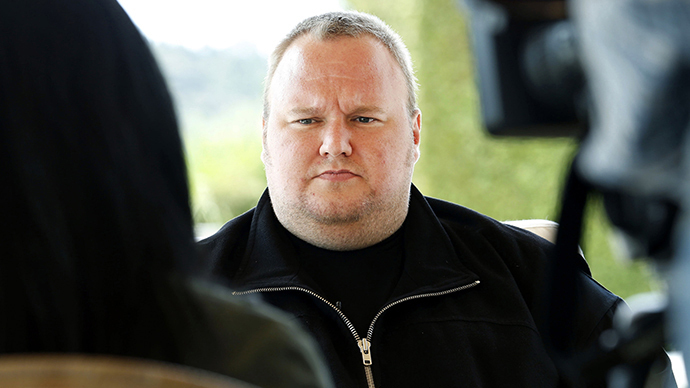 Dotcom was freed on bail but his movements are restricted. The internet tycoon and three of his colleagues have been battling US and New Zealand authorities ever since; an extradition hearing is scheduled for July. US authorities allege that Megaupload cost film studios and record companies more than $500 million and generated more than $175 million by encouraging paying users to share and store copyrighted material like movies and TV shows. Dotcom claims Megaupload was merely an online warehouse and should not be accountable if the content in it was obtained illegally.